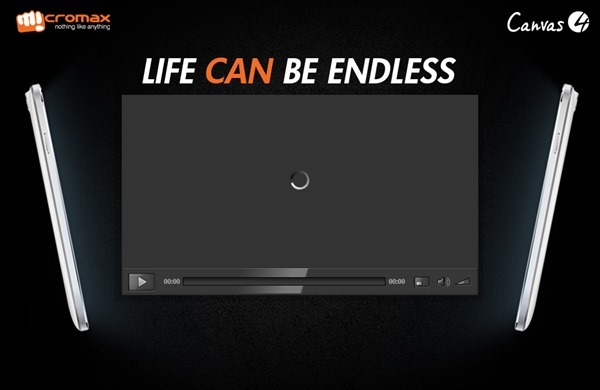 Micromax will officially launch its flagship phone Micromax canvas four A210 tomorrow at 12 noon. Micromax has been promoting this phone using teasers on Facebook and Youtube and the latest teaser tells us that Micromax will stream the launch of this much awaited phone live on the internet! You can watch the live streaming of this even Live on this Blog post tomorrow. Expectations from this devise have been astronomical and that’s the reason why Micromax could successfully book more than 5000 preorders even before the official launch of the phone. However the leaked specifications did not hit the mark quite right and a wave of disappointment was clearly visible among aspiring customers. Considering the leaked specifications this phone might be rebranded Blue Life One. 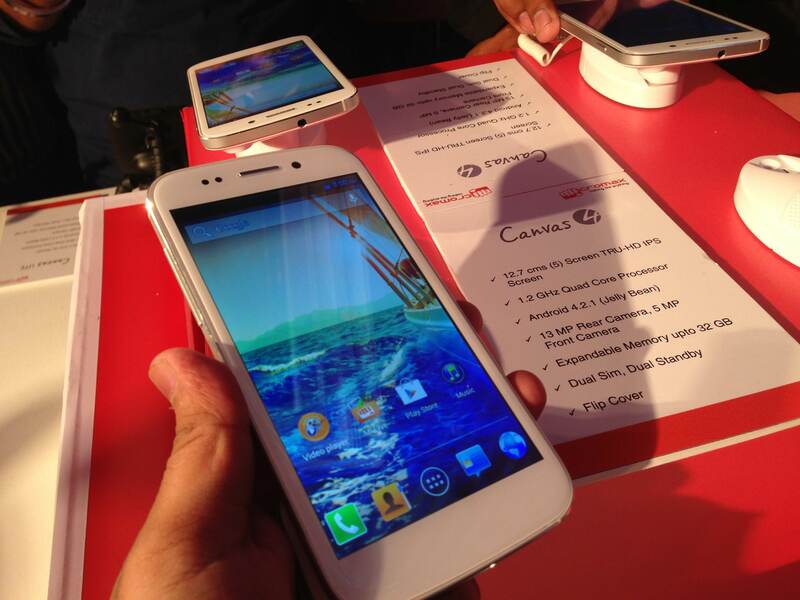 Canvas 4 has 5 Inch LED-backlit IPS LCD display with 720 x1280 pixels HD resolution. This gives you a pixel density of 294 ppi which is a good display, though many people expected Micromax to provide full HD display on this device. Canvas 4 has 1 GB RAM backed by an internal storage of 16GB.It is powered by a 1.2 GHz MediaTek MT6589 processor, but it might have the latest version of GPU, Power VR 5XT. 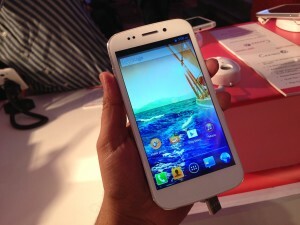 This will be an improvement over other phones in Canvas series like Micromax Canvas HD A116. RAM capacity was a little disappointing as it was expected to be around 2 GB. 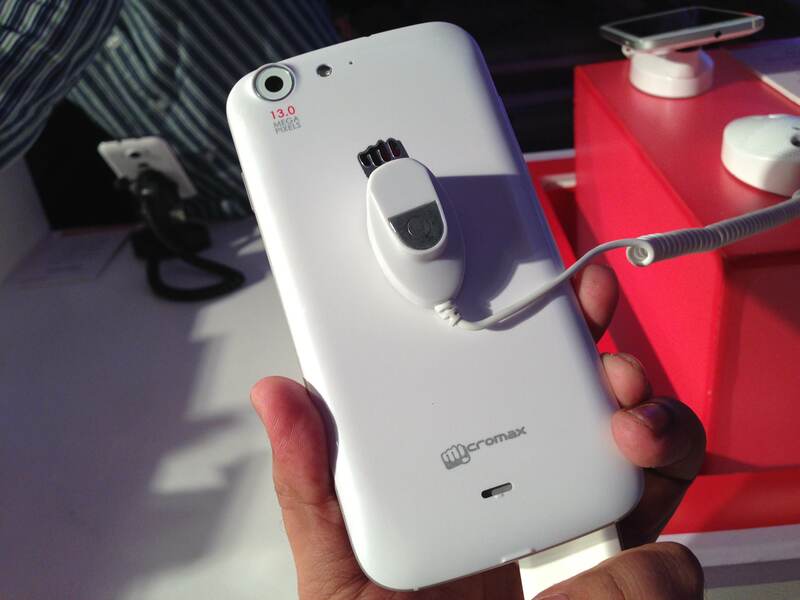 As the official images had already revealed this device comes with a 13 MP primary camera and BSI sensor. The secondary camera is expected to be of 5 MP. 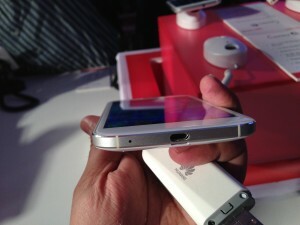 Battery capacity is rumored to be of 2000mAh. The side frame is made of aluminum and rest of the body is of plastic. The interesting thing to watch out for during tomorrows launch will be, the promised exclusive unlock feature (expected to be ‘blow air to unlock’) of this phone. Teasers of this phone mocked Apples blow air to unlock feature and hinted towards a unique unlock feature. Another thing exiting about tomorrows launch will be that customers will get to know the price tag of this flagship Smartphone. If the leaked specifications are true, then the pricing will be even more crucial. Which are being speculated to be around 16,000 to 20,000 INR. You can watch the launch of this event live on this very blog post tomorrow at noon! 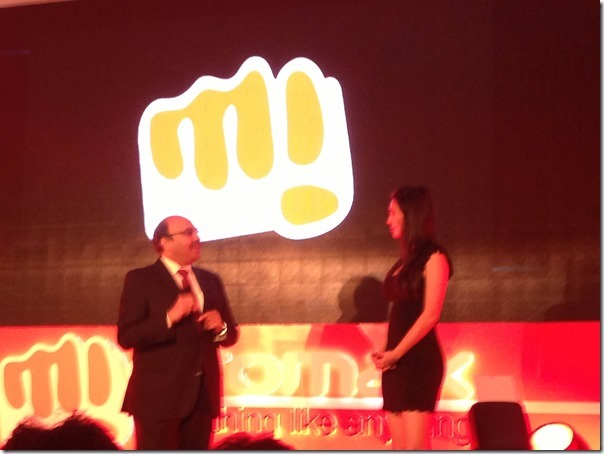 so stay tuned for over official coverage of Micromax canvas 4.